Facilities - West Pak Avocado Inc. In a word, 'innovation' is what sets West Pak Avocado apart. After years of analysis, research, and progressive investment, we’ve redesigned and modernized the way we grow, ship, and sell avocados. Our mastery of transportation logistics, ripening technology, and marketing expertise translate into year-round availability of premium avocados. Our disciplined approach to delivering an exceptional product and our ability to forge strong partnerships with regional growers has earned us a solid, global reputation in the produce industry. 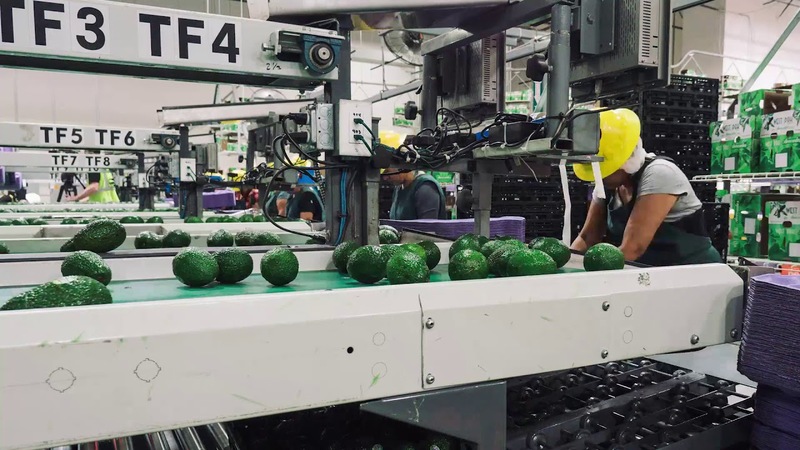 West Pak is a significant force in the avocado industry with ripening, packaging, and distribution centers strategically located throughout the United States, Mexico, Chile, and Peru. West Pak corporate offices are located in our modern Southern California facility. This facility is immersed in the heart of avocado growing country and houses our administration and sales teams. An operating packing house and distribution center, services include packing, repacking, distribution, and cold storage. Our headquarters for Mexico, this busy packing facility also houses a sales team and facilitates cold storage. It’s located in Michoacán, Uruapan, which is known as the avocado capital of the world and accounts for 80 percent of total Mexican avocado production. A regional distribution center designed to manage large quantities of produce, this West Pak facility handles conditioning and cold storage. Our second location in the southern state, this spacious distribution center is a cold storage and conditioning facility. Housing our East Coast sales team, this regional distribution center also provides produce conditioning and cold storage. A distribution center that provides conditioning and cold storage, West Pak’s Midwest sales team operates out of this regional facility. We pride ourselves in being a significant force in the avocado industry with ripening, packaging, and distribution centers strategically located throughout the United States, Mexico, Chile and Peru. Fruit handling is an important facet of putting the best product on the marketing and ensuring quality and consistence every time. The headquarters of West Pak Avocado is made up of key departments that keep avocados ripe, fresh, and the best quality year -round. Our avocados go through our Compac 9000 CIR where they will be graded on quality and size. Once each avocado is graded, they are then transported to a predetermined location where they will be packaged into various configurations. Avocados can go to our bagging department where they will be bagged for a specific customer or they can go to our Just Ripe! Team to be ripened to perfection. At this point, the avocado is ready to be stored and prepared for delivery nationwide or internationally. It takes state-of-the-art facilities and modern equipment to handle the volume of fruit required to service customers worldwide. Our network of distribution centers, sales, and packaging facilities ensure quality and consistency every time. Have questions about our Avo-Operation? One of our operations specialists would be glad to help you learn more.